The ability to manipulate spatial data in different forms and to extract additional meaning from them is at the heart of GIS, yet genuine spatial analysis tools are rarely incorporated into commercial software, thus seriously limiting their usefulness. The future of GIS technology wil depend largely on the incorporation of more powerful analytical and modelling functions - and there is agreement within the GIS community of the urgent need to address these issues. This text attempts this task. 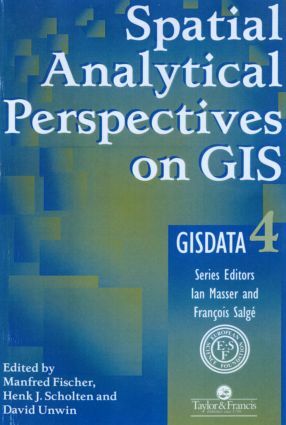 It presents the latest information on incorporating spatial analysis tools into GIS, and includes concepts and applications from both the environmental and socio-econimc sciences. PART ONE Spatial Analysis Procedures, PART TWO Spatial Integration Issues, PART THREE Spatial Dynamic Modelling, Index.